It’s time to continue our little series of hidden GP gems from the 90s with Part III. I actually have shifted the order from what I had planned initially as for the watch I planned for Part III, some additional information may become available in a couple of weeks, so I’m swapping things around. 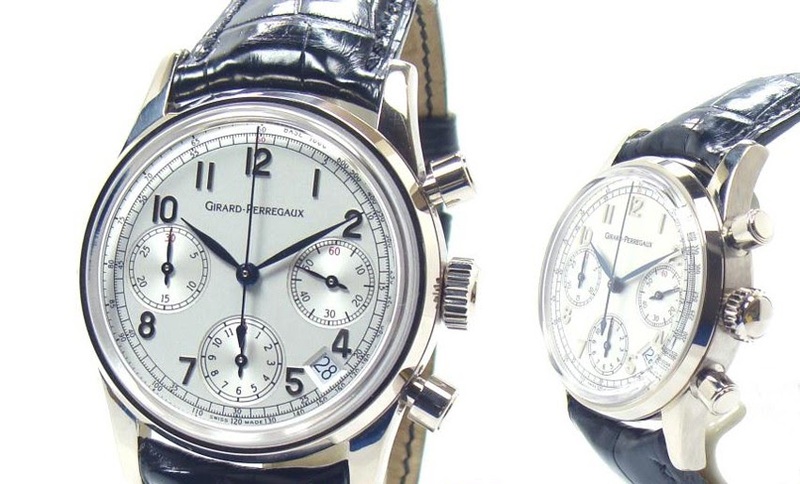 So in Part III we will look at a Girard-Perregaux Chronograph from 1996. 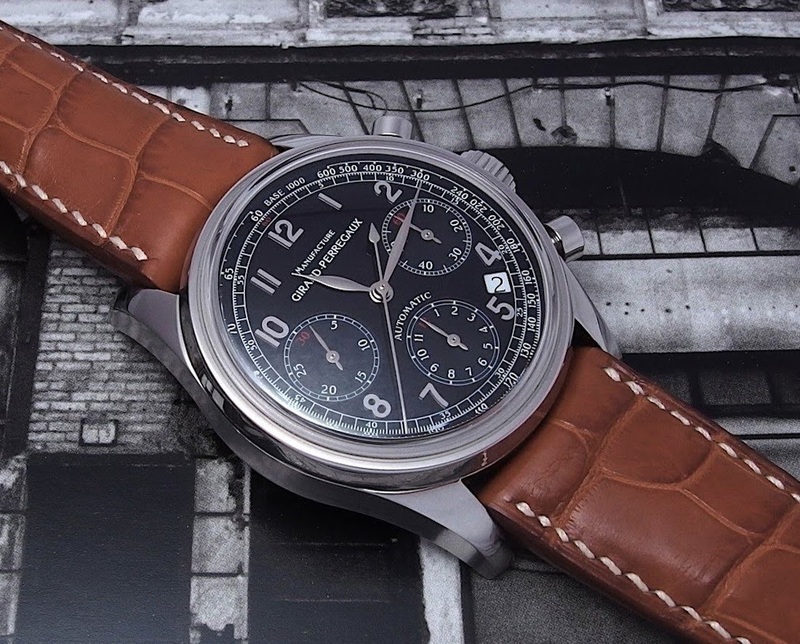 It was together with the Laureato Olimpico Chronograph 8017 that was released the same year, the first Chronograph from GP in the 90s that hosted the inhouse movement 3170. That on its own makes it quite worthwhile to consider a special piece. However, it was also the third release in the so-called “vintage” series. The “vintage” series was a limited edition/limited production series that since 1994 took a historic museum piece from the collection and modernized it carefully with a special tribute vintage release. The most famous and still around today is the now dubbed “Vintage 1945” which was the second release in that series in 1995. As the name “Vintage 1996” already suggest, this Reference was released in 1996. According to the Marketing material from that time, the model was designed after a 1960s historic GP with Tri-Compax layout. 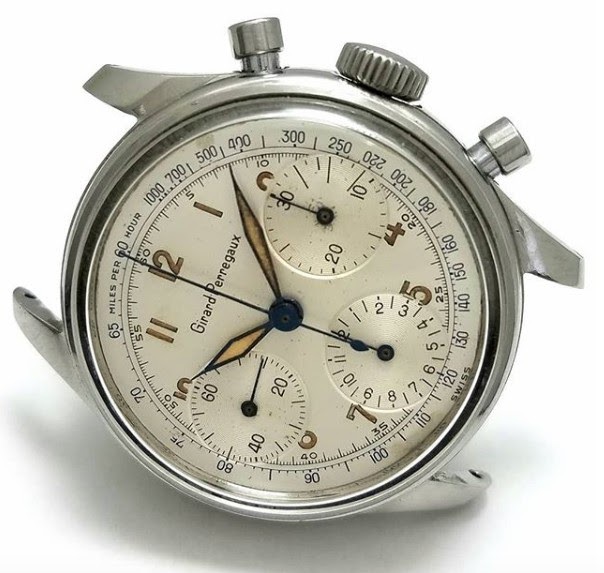 We know GP used an Excelsior Park movement (EP40) in the 60s and 70s and modified it for Tri-Compax design (Caliber 07). This can be found for example in the 1968 Olimpicos, like the 8846. What is apparent here is the dial design with the painted Arabic numerals that very closely matches the dial of the 4930. That model came in 3 different gold cases, yellow, pink and white gold. The case diameter is 36mm. That size along with the relatively think case with a box-shaped crystal on top (total height almost 12mm) gives it quite the “Hamburger” look. 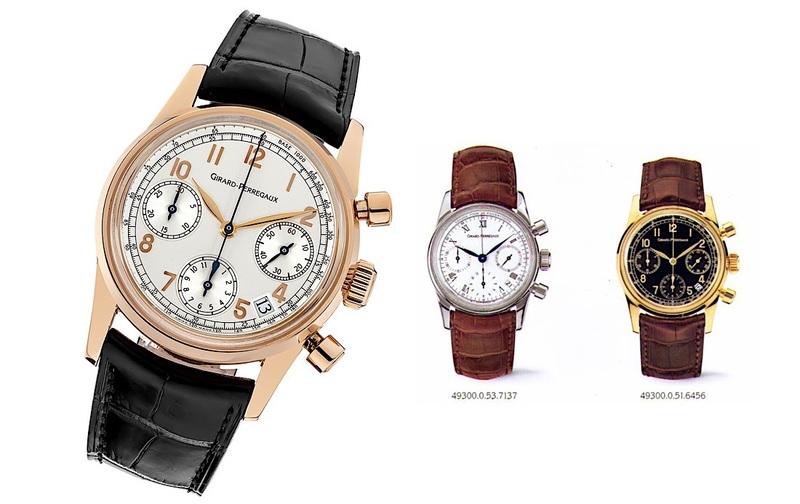 Anyone who had handled a Patek 3970 (which is 36mm x 13mm) knows what I mean. I quite like that look as it gives a great vintage feeling along with those mushroom pushers, but as a word of caution if you feel your 48mm ROO feels rather small on your wrist, then this may not be a watch for you. There are 3 dial variants as well. 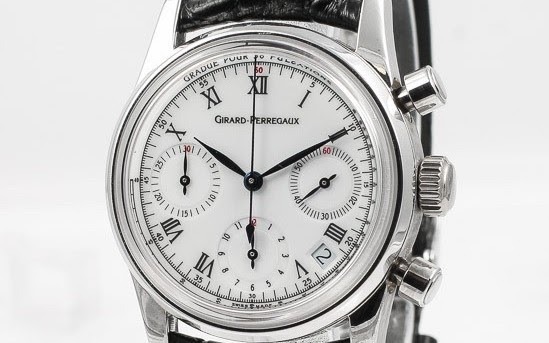 A classic painted dial with applied Arabic numerals in either white/cream or in black. The third dial variant is an enamel white dial with applied Roman numerals and blued hands. All versions have a date window at 4:30h, which probably brings us to the only slight point of critique. I don’t mind in general date windows, but here I definitely think that it would have been better without, especially on the black dial. 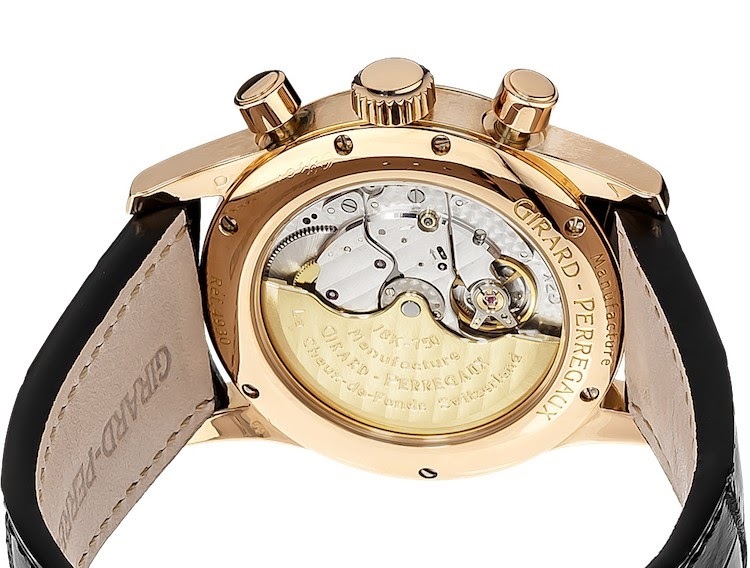 The case back has a sapphire crystal giving view of the movement. 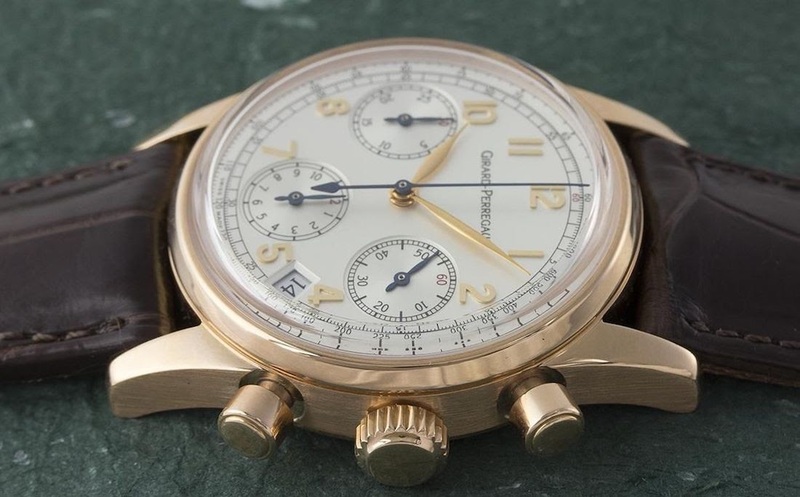 The automatic movement (unfortunately none of the Chronograph functions are visible as the Chronograph is a module on the automatic movement - more on that below) has a solid 18k gold rotor and is nicely decorated. With only 36mm case, here nobody can complain about a “too small movement”, so the choice of a see-through back is appreciated. The movement as mentioned is Caliber 3170, which was the first Chronograph caliber that builds upon the inhouse automatic caliber 3100. The Chronograph itself is a module from Dubios-Dubraz. So yes, only a modular design, but the DD module is not a bad one and given the resources required to design an inhouse column-wheel chronograph, this is fine for that price range. This caliber has been further refined and as Caliber 3370 has powered many Chronographs of GP in the late 90s and 00s. Which gives us a good opportunity to look at how the model 4930 developed in the collection. 4930, aka Vintage 1996 was a special “vintage” release and while not strictly limited, it is limited production and those are not easy to find, which suggests a similar production number as the other “vintage” series models, which were around 200-500 pieces only. 4930 stayed in the catalogue hence in production from 1996 till 1999, so around 3-4 years, but surely quite a few were still sold in the shops till the 00s. In 1999, a successor was released, also sometimes named “Vintage 1999” although not actually correct. 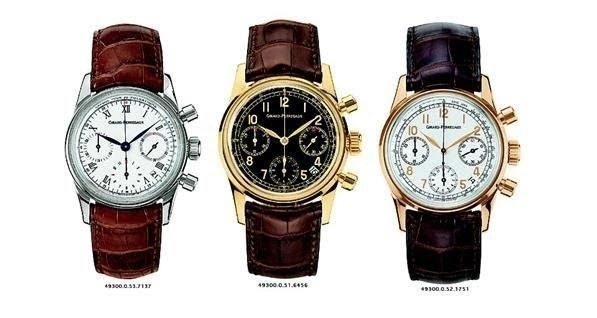 It was the “1999 Chronograph” within the Classic Elegance collection. The successor, Ref 4946 increased the case diameter to 38mm while keeping the thickness of the case, making it more modern and harmonious ratio. To date, the 38mm 4946 remains to have the “perfect” size in my view. Unlike 4930, Ref 4946 was only available in steel cases with either white or black dials. The enamel dial was not put forward to the new model. Both 4930 and 4946 are very similar in looks and can be easily mistaken for each other. Let’s come back to the 4930 and see what version is interesting for collectors. Most easy answer for this Reference is actually: All. All have solid gold cases, all have great composition between dial and case material, so it really comes down to personal taste. 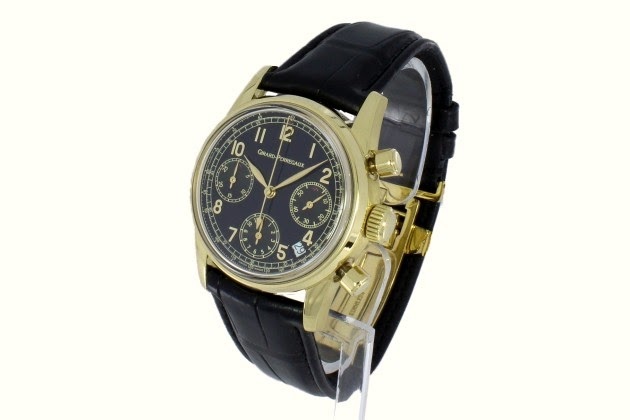 A yellow gold case with black dial is a superb choice but so is the white gold with enamel dial. So you simply cannot go wrong with any 4930. 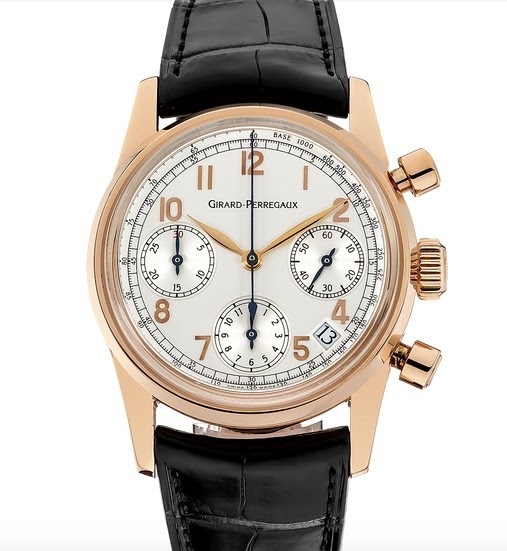 As far as rarity is concerned, only judging from what has been on the market, the white dial enamel is probably the rarest, while pink gold/white dial the one most often seen. While I already own a 4946 with black dial, I still consider adding a 4930 to my collection. I must confess that I like the look of the YG/Black Dial, but then I already have the black dial 4946 and the date window is more pronounced with the black dial. So perhaps a classic coloured gold case with white dial? We will see what comes along at the right time. Superb review, my friend. 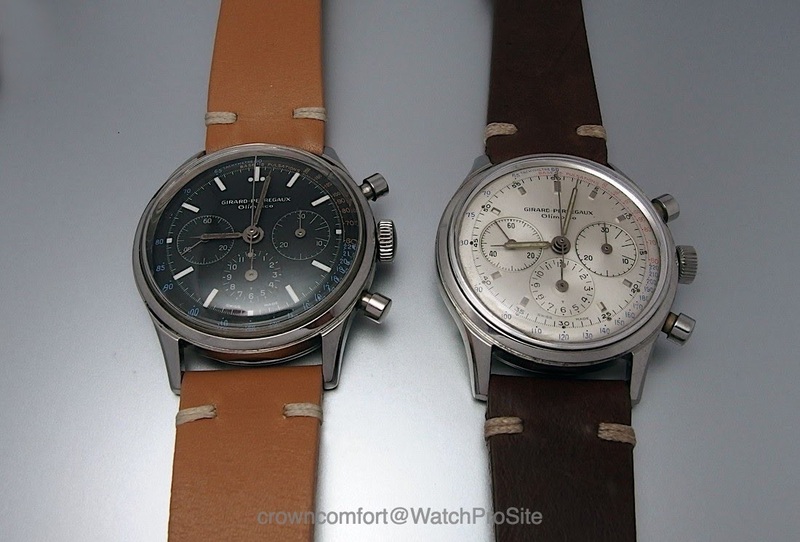 These GP chronos are very appealing. If only they didn't have a date! Thanks Z for the input I'm with you on the date window here, but for me it would not be a dealbreaker, esp. not on the white dial. Oh, definitely not a deal breaker. You know I love the email dials. Exactly the more is less in this case, The date breaks the balance of the dial . Another superb post. A reference post. Fantastic detail and also another temptation. Thanks for doing this CC. Much appreciated research. Thanks you, Joe. I got two more in the series to come but I think in the meantime, I will take a break from the 90s by looking at a novelty again...will see what I can come up with.